Masked raiders wielding a knife, hammer and what ‘appeared to be a handgun’ forced their way into a bungalow and demanded money. The men targeted the bungalow in St Andrew’s Close, Morley, shortly before 9pm last night (Wednesday). The victims, a 37-year-old woman and a 30-year-old man, managed to shut themselves in the living room while the men searched the house before taking cash and leaving the scene. One of the men was described as being of large build, stocky and tall. 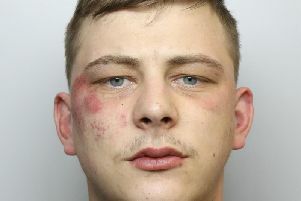 Detective Constable Rhys Stead, of Leeds District Crime Team, said: “This was a really frightening experience for the victims to be confronted at home by armed men and we are carrying out enquiries to trace those responsible. We believe the offenders have specifically targeted this address. “We would like to hear from anyone who witnessed the incident or who saw anyone acting suspiciously in the area on the evening of the offence or in the days leading up to it.”　Anyone with information is asked to contact DC 565 Stead at Elland Road via 101 quoting crime number 13160756613 or call the independent charity Crimestoppers anonymously on 0800 555 111.